Welcome to the Learning Revolution. The technologies of the Internet and the Web are reshaping where, when, and from whom we learn. 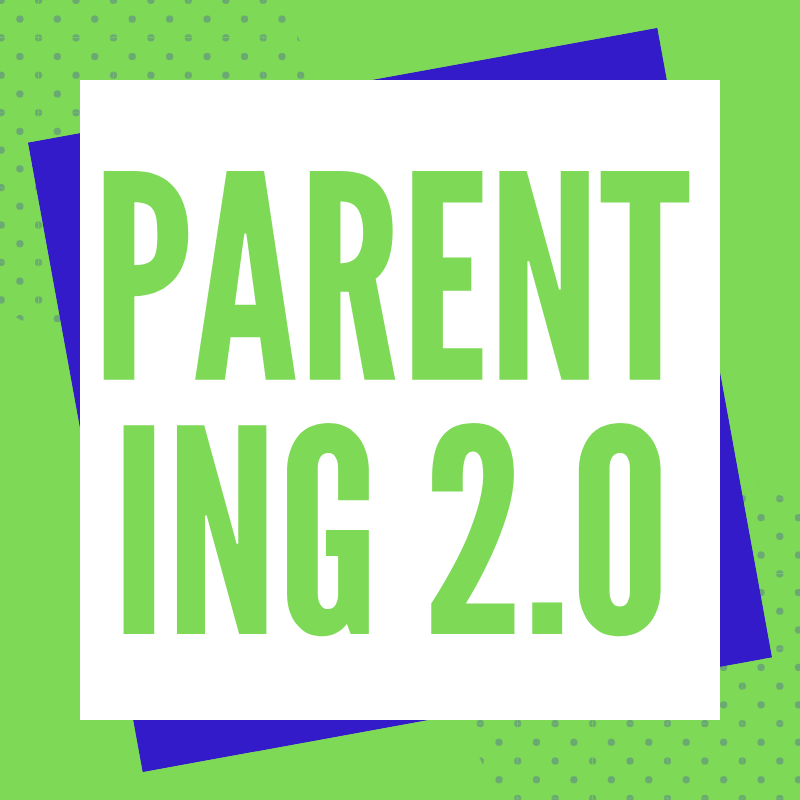 The Learning Revolution Project highlights virtual and physical events from Web 2.0 Labs and its partners. These events bring together educators, learners, leaders, and others from the school, library, museum, work, and home learning worlds. Our goal is to share best understandings of the learning process as part of rethinking and reinventing education. 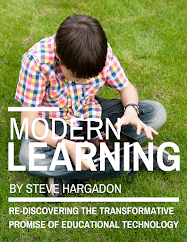 The Learning Revolution newsletter reaches 120,000 each week. To receive the newsletter, please join the Learning Revolution network. ISTE Virtual Conference. ISTE members, don't miss out on 3 hours of amazing webinars coming up Thursday (yours truly will be acting as MC). 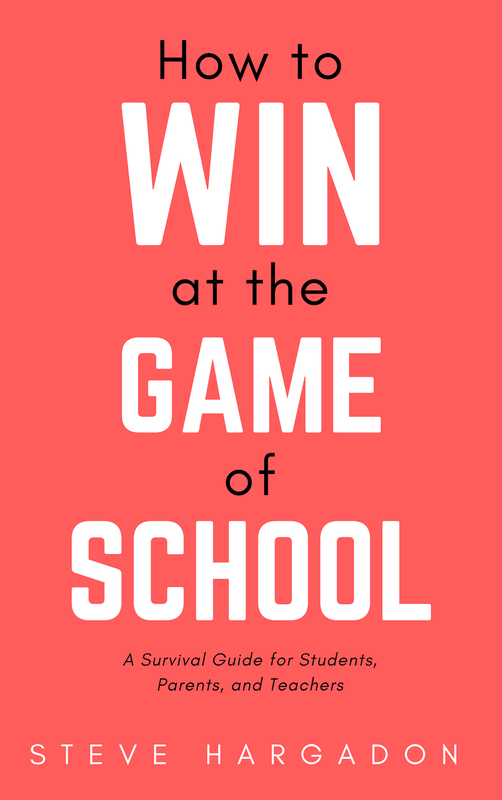 Join us online for new content focused on the hottest topics from ISTE 2013 and a sneak peek at what’s in store for ISTE 2014 — plus live interaction and discussion I'll lead with ISTE 2013 keynoter Adam Bellow. Speaking of ISTE... Don't miss our annual unconference-y fun at ISTE 2014, starting on Friday this year! More information at ISTE Unplugged. OZeLive Update. The presentation deadline for OZeLive is this Saturday. Great sessions are already booked, but you can still present! Don't forget to mark your calendar for the actual event, February 22nd and 23rd in Australia Eastern Standard Time. Visit ozelive.com for more information, and use #OZeLive to share your excitement about this event! Looking for Film Festival Entries. The Learning Revolution will be holding both virtual and physical conferences in the spring. We are looking for film recommendations for an educational film festival that will be part of our physical event. Please email Rochelle with your recommendations at rochelle.hudson@gmail.com. New Partner Announcment. Giving a shout out to our new Learning Revolution calendar partners: BrainPOP, Common Sense Media, CoSN, iEARN, and Taking IT Global. See their events in our main calendar at learningrevolution.com. More to come. Be sure to contact Amy at admin@web20labs.com if you'd like to see your organization's events included. Wednesday, February 12 at 4pm Tynker Around With Programming, Experience the ways Tynker teaches kids basic programming as they build animations, games, interactive projects, and more. And, take a look at the ways you can use BrainPOP and Tynker together to bring programming into your curriculum. Click here to register. Wednesday, February 12th at 9pm Teachers Teaching Teachers, Weekly conversations hosted by EdTechTalk, a collaborative open webcasting community. For more information, click here. Thursday, February 13th at 11am Connected Learning: Leveraging Institution Partnerships for Sustainable Exchange, How can working with institutions make virtual exchange more accessible & sustainable? Learn more about implementation at the school level, through non-formal education, and the national ministry level. Click here to join. Thursday, February 13th at 6pm ISTE Virtual Conference, Join us online Feb. 13 for new content focused on the hottest topics from ISTE 2013 and a sneak peek at what’s in store for ISTE 2014 — plus live interaction and discussion with ISTE 2013 keynoter Adam Bellow! This event is FREE for ISTE members. Please see registration instructions and the event schedule here. Saturday, February 15th at 12pm Classroom 2.0 LIVE, An opportunity to gather with other members of the community in real-time events, complete with audio, chat, desktop sharing, and sometimes even video. You are invited to join us for our weekly Saturday show with co-hosts Peggy George, Lorie Moffat, and Tammy Moore! Follow #liveclass20. Click here to join. Monday, February 17th at 8pm TL News Night LIVE!, This is a LIVE show presented in news show format featuring a Wrap up of “This Month in School Libraries” and deeper discussion of topical school library issues with special guest experts. Did we mention it was LIVE? Join here. February 18 - 20 in Little Rock, AR Technology Information Conference for Administrative Leadership, This physical conference, co-sponsored by the AAEA, Arkansas Department of Education, and TICAL, is specially designed for the general school administrator who must provide 21st century leadership, but who is not a technology specialist. Learn more about the conference, and register for the event here. Anne Mirtschin from the Global Education Conference - on "The World is My Classroom"
Alec Couros from the Future of Education Interview Series - on "Open Teaching"
David Warlick from the Learning 2.0 Conference - on "The Memory Lane of a 30-Year Connected Teacher and Learner"
Open Education Week, March 10 - 15. Classroom 2.0 member, Karen Fasimpaur, shared an announcement for the third annual Open Education Week in March. Open Education Week is a celebration of the global Open Education Movement. Its purpose is to raise awareness about the movement and its impact on teaching and learning worldwide. Participation in all events and use of all resources are free and open to everyone. This is just the kind of event we'd love to promote. Thanks for sharing, Karen! What's your experience with using portable devices to help facilitate personal learning?. Monique Colbert, Baltimore math curriculum specialist and graduate student, is looking for someone interested in being interviewed about their experience using portable devices to create personal learning opportunities for students. Does this sound like you? Learn more about Monique's project and get in touch with her here. Resistant students who don't read, and flawless teachers who only smile on holidays: Dispelling myths about teaching. Marygrove College educator, Karen Cameron, dispels four myths about teaching and offers solutions to common classroom behaviors. Changing our thinking about behaviors and the ways we respond can totally change the dynamic of any learning environment. As always, thanks for sharing Karen! An argument for team teaching. New Zealand educator, Karyn Gray, shares her experience and inspiration for team teaching and Modern Learning Environments in this reflective blog entry. It’s exciting and mostly unchartered territory and its no longer just the territory of new schools in major cities which tend to be in higher socio economic areas. Learn more about what Karyn and her colleagues are doing to create amazing opportunities for students, in spite of the resource disparity that has always threatened to make learning environments uneven. 21st Century Reading. 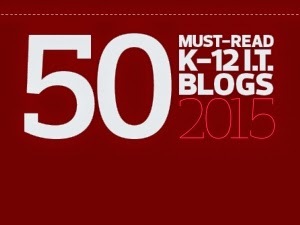 Ferdinand Krauss has shared the article 10 Strategies to Reach the 21st Century Reader. Strategies involve the incorporation of multiple media formats, turning reading content into visual media, and familiarizing students with multiple reading tools. Read more here. Play the biodiversity game. London educator, Joel Josephson, has invited European secondary classrooms to play a biodiversity game developed by Research Games as part of a multi-national project to assess research skills and interest among students. The project is set to begin in April, and will include two phases. Learn more about how you can participate in this fun opportunity here. Classroom Skype conversation about Sochi 2014. Boston history teacher, Kader Adjout, is interested in connecting with another high school class to discuss perspectives on globalization as it is manifested in the 2014 Olympic Games. This sounds like a great topic to explore in light of many discussions that this year's games have generated. Get in touch with Kader here if you're interested in connecting. 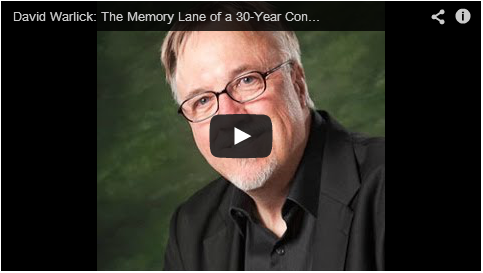 I've been thinking this week about the personal legacy that we leave--partly because of the impact that specific individuals have had on my life, and partly because of a long discussion with Adam Bellow in preparing for the ISTE virtual conference this week. I'm intrigued by the way in which very small things--a kind word, some particular encouragement, and even just seeing an example--can change the trajectory of who we are and what we do. We cannot script every interaction to provide that kind of impact on others, but we can work to create environments where there the time and opportunity to learn and grow are available. I'm going through boxes and boxes of photos that my grandmother kept and that have been unearthed after some 20 years, and somehow the photographic evidence of important life moments (like my grandfather on bended knee, staged of course, proposing to my grandmother in 1918 with an incredibly wide and genuine smile) reminds me of the personal legacy that is so important but often overlooked in how we deal with others... especially our youth. Then there is the great-grandfather I never met, who was once described to me by an orphaned niece he raised, as "the kindest man she ever knew." I'm quite certain he was not a wealthy man, but those few words have meant more to me than if I were to have learned of some business success or worldly accolades. Our influence, not our efficiency, is our true legacy.